The Vibrations is the entertainment blog, here you can find Reviews of newly released movie reviews (hollywood, bollywood, tamil, malayalam, kannada etc...) Reviews of cult classic movies Reviews of newly released music albums List of best movies, albums, songs of particular artists. Biriyani is a most awaited Venkat Prabhu Flick with Karthi released in Chrismas season this year, it’s a comedy thriller with a Venkat Prabhu style of treatment. After the success of Mankatha with Ajith kumar, hype and expectation were high on this movie. But Venkat Prabhu disappoints big time. This movie can be considered as his weakest film till date. There is nothing new and different stuff in this movie. All the seen before kind of scences and situations and the suspense element is not so shocking or interesting. 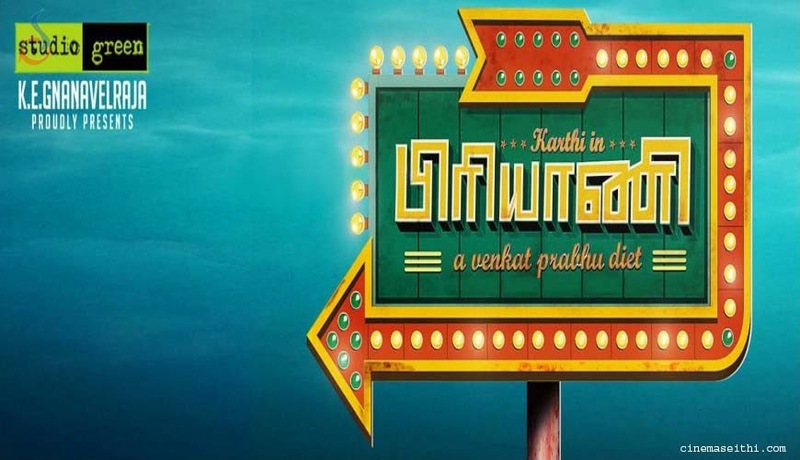 First half of the movie is wasted for plot development and songs were forcefully inserted, comedy did not work and most of the things were repeat version of typical Venkat Prabhu movies. There is nothing really happens in first half, which could have been told in 10 mins. Movie picks from second half and turns to athriller mode and it had its moment till climax portions. Suspense element was big letdown. All the actors acted well. Casting was good. Camera work was also apt. this being Yuvan’s 100th movie songs were very average. Background score was good. Lack of good writing was evident and felt like this script was written in hurry just to en cash the dates and make some quick money by releasing it in a festival season. Verdict: Nothing really delicious about this Biriyani!! !